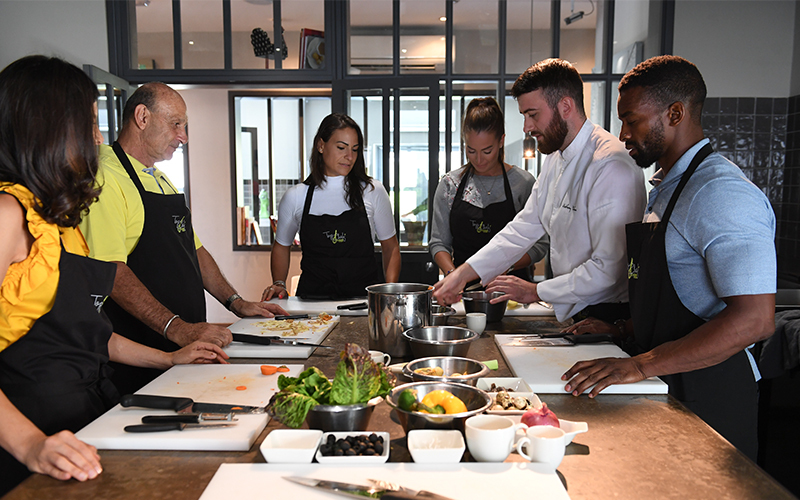 If you’re looking to spruce up on your cooking skills or learn how to cook healthier in the kitchen, gain hands-on experience this summer at one of four new Dubai cooking classes at Top Chef Cooking Studio. The ‘Healthy & Fabulous’ class is priced at AED425 per person and is designed for gourmands willing to get creative in the kitchen whilst staying healthy. The chef will teach you how to construct beautiful and flavourful dishes offering a wealth of health benefits. Cut, carve, slow cook, and roast, safe in the knowledge that you will be using only the best quality produce. If you’re vegetarian, the ‘Vegetarian’ class is priced at Dhs445 and will focus on scrumptious dishes using vegetables, grains and legumes. There’s also a class dedicated to those early risers who love a good breakfast, called ‘Breakfast at Top Chef’. And lastly, the ‘Chef to Be’ class priced at Dhs415 is for those looking for an introduction into the basics of cooking. Details: For the full schedule of classes, visit topchefdubai.com/cooking-classes for more information or call 04 385 5781.